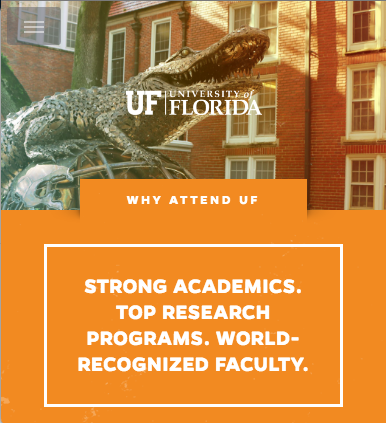 The UF Organization for Graduate Student Advancement and Professional Development (OGAP), the UF Graduate School and the UF Office of Research are pleased to host the Graduate Student Research Day on Tuesday, April 3rd, 2018 in the Grand Ballroom of the Reitz Union! As the second day of Graduate Student Appreciation Week festivities, this event is designed to showcase the breadth of research across the UF campus centered around a poster presentation competition and featuring keynote speakers. Please use this link to submit your poster for GSRD 2018. The deadline to submit your abstract is March 13th, 2018 (midnight)! We encourage graduate students to take advantage of this opportunity to practice your presentation skills and compete with your peers for top poster awards. Poster winners will also represent the University of Florida at the Florida Statewide Research Symposium! Therefore, all graduate students are encouraged to submit an abstract for a poster presentation for a chance to win. Judges are needed as well for Graduate Student Research Day! If you are a faculty member or a postdoctoral researcher and would like to be a judge for the poster sessions, please register here. You can also register as an attendee for Graduate Student Research Day here. A raffle for all participants will be held to win cool prizes! We look forward to seeing you at GSRD 2018! For questions on Graduate Student Research Day, please contact Charlotte Bolch at cbolch@ufl.edu. The UF Teaching Center offers this workshop Monday through Thursday, February 19-22, from 5-7 p.m. each day. The Math sessions are Monday & Wednesday, and the Verbal sessions are Tuesday and Thursday. You can register for just the math sessions, just the verbal sessions, or all four. Go to www.teachingcenter.ufl.edu, then “study skills” then “workshops” to register and learn the workshop location. The University Writing Studio, in 302 Tigert Hall, offers free, one-on-one writing help to all UF students. We work with undergrads and graduate students, from all fields of study, on documents from one-page memos up to dissertations. Our experienced tutors are mostly grad students, but we’ve also got undergrad honors students who work mostly with undergraduate writers. We can help with clarity, structure and style, as well as sentence-level patterns of error or weakness. Although we don’t purely proofread papers — our goal is to help you become a better writer, rather than just to copy edit a specific paper — we will help you improve whatever document you bring in. We are open from M-F 9:30 – 3:30 in 302 Tigert Hall, and M-R evenings from 5:00 – 8:00 in Library West. 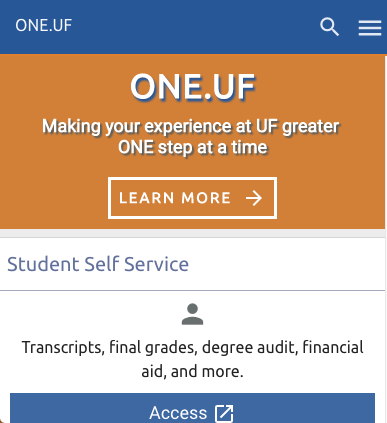 You can schedule an appointment through our website: www.writing.ufl.edu. Please bring a paper copy of your document to your appointment. If you have any questions, please email the Director, Martin Simpson, at simpsonm@ufl.edu. Student Conduct and Conflict Resolution in the Dean of Students Office is currently recruiting faculty, staff, and graduate students to serve on our Student Conduct Committee. Student Conduct Committee members hear all types of cases involving alleged violations of the Student Honor and Conduct Codes, and play an integral role in educating students about their rights and responsibilities as members of the UF community, in addition to upholding community behavioral standards. Those who are interested in becoming members will be required to attend a training, with the next one occurring on Friday March 23, 2018 from 9:00 AM – 1:00 PM in Criser 201A – L. Vernon Voyles Presentation Room. If you or someone you know may be interested, or if you have any questions please contact Amanda Campbell at AmandaC@dso.ufl.edu. This is a volunteer role. Nominations for COE Outstanding Graduate Student Awards are now being accepted by EduGator Central (COE-Office of Academic & Student Services). Faculty may nominate an outstanding graduate student for an award by submitting nomination materials according to the instructions below. Please take this opportunity to nominate an outstanding COE graduate student for one of the following three graduate student awards, to be presented at our annual Recognition Dinner on Friday, April 20. 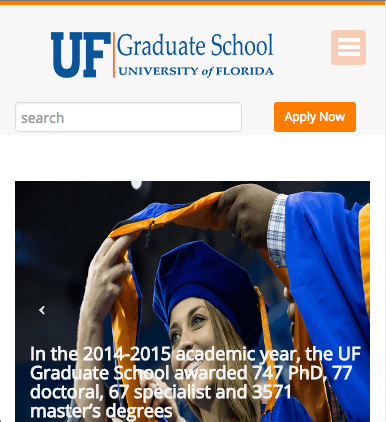 Nominations are open to all COE graduate students who were/are enrolled in at least two of the following three terms at the UF College of Education: Summer 2017, Fall 2017, Spring 2018. NOMINATING PROCESS: COE Faculty should submit a one-page letter of nomination. A maximum of two additional letters of support (up to one page each) will be accepted and may come from COE or other UF faculty. The nominee’s vitae/resume must be included with the nomination. All nomination materials must be submitted electronically to aganas@coe.ufl.edu BY 5:00 P.M. ON Monday, February 26, 2018. Could you use a little help with your research? With finding better scholarly sources and building scholarly knowledge? All UF Graduate and Professional Students are Welcome. Click here for dates, topics, and location. You are invited to submit a proposal to the University of Florida’s third annual College of Education Student Research Symposium, sponsored by the Education College Council (ECC) and Student Alliance of Graduates in Education (SAGE). The date of this year’s Symposium is Thursday, April 5th, 2018. During this 50th anniversary year of the assassination of Dr. Martin Luther King, Jr., our theme, “A Critical Collaboration in ‘Times of Challenge and Controversy'”, serves as both a tribute and a call to action. The symposium intends to facilitate cross-disciplinary dialogue and, to that end, we hope this annual event will draw interest across all three schools within the college. As in previous years, we understand the term “research” broadly and welcome submissions of original social science research, historical inquiry, practitioner inquiry, and other research projects that further our knowledge and understanding of education in a variety of settings, both formal and informal. Faculty members who have worked with undergraduate and graduate students and intern/mentor teacher pairs who have engaged in practitioner inquiry are especially encouraged to submit. For more information about proposal formatting and submission, please see the attached “Call for Proposals” document and the submission link below. The deadline for all proposal submissions is March 1st, 2018. Submission link. If you have any questions about the submission process or presentation formats, please contact SAGE President, Brittney Castanheira at brit1013@ufl.edu. Additionally, if you are interested in volunteering to help with the Symposium, either before or during the event, please contact SAGE officer, Masashi Otani at motani@ufl.edu or click here to sign up now! The Florida Society of the Social Sciences (F3S) invites paper, poster, or workshops to be presented at the 13th Annual Conference of the Social Sciences (CSS). This day-long, interdisciplinary conference, themed Advancing Public Knowledge in a Changing Social Landscape, will be held at the University of Florida on Saturday, April 14, 2018. For the past 13 years, the Florida Society of the Social Sciences (F3S) has strived to provide unique forum Florida’s students of the social and humanistic sciences scholars to engage with others around issues of social import and impact. The cornerstone of F3S’s efforts is the Annual Conference of the Social Sciences, where over one hundred graduate and undergraduate students come together to present and discuss their work with a broad audience that crosses disciplines, professions, origins, and walks of life. We are excited to announce this year’s keynote speaker: Dr. Roberto G. Gonzales, Professor of Education at Harvard Graduate School of Education. Please submit a 250-word abstract of your paper, poster, or workshop presentation here. The submission deadline is March 16, 2018. 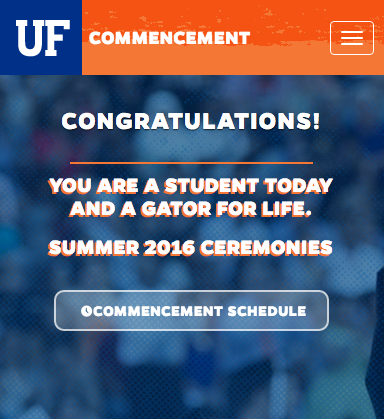 For other announcements and events at the University of Florida, please click here. Have you ever wondered what is like to work in an art museum? Harn internships are offered with the goal of providing professional experience, growth opportunities and guidance from museum professionals. Interns have gone on to careers ranging from history to education at institutions such as the Guggenheim, Christie’s Auction House, and LACMA. Our College of Education Office of Global Engagement runs Mizzou Ed Teach Abroad, a culturally immersive educational experience intentionally designed to provide pre-service teachers with a reciprocal learning opportunity in India. The program will run from June 13 to August 1. During this time, pre-service teachers will be placed at one of our partner K-12 schools in Bangalore to co-lead instruction with an Indian mentor-teacher. Please visit our Mizzou Ed Teach Abroad page to learn about the details of the program and read students’ blogs from past years. Uncommon Schools is looking to identify dedicated, passionate teachers who can help us deliver on our promise to prepare every scholar to graduate from college. In every Uncommon school, our staff is doing the important work of getting our scholars to and through college. We’re always looking to hire great teachers, leaders, and future school leaders to advance our mission. We have open teaching roles in Brooklyn right now, and we’ve also started hiring for next school year. If interested, please email at Don.Taylor@uncommonschool.org. Southern Grace Nannies is an agency that places southern girls with families in and around the NYC area to be their live-in nanny for a summer or for a year. This is a great opportunity for anyone who loves children and an adventure! You will have your own bedroom, paid NY state minimum wage, and other things! Check out our website,www.southerngracenannies.com for more information! Montgomery County Public Schools in Montgomery County, MD (a suburb of Washington, DC) is actively identifying outstanding candidates to work with our students in Montgomery County Public Schools (MCPS) Maryland during the 2018-2019 school year & beyond. As one of the nation’s largest school systems, with some of the highest graduation rates, and 37 National Blue Ribbon Schools, we feel like our exceptional school system would provide an excellent match for you. All Unofficial Transcripts from Colleges and Universities attended – Foreign Transcripts must be evaluated. Hands on Peru offers a unique volunteer experience to students who are passionate in global public health – our program is designed for university students with a future in global health, medicine, public health, nursing, education, and international development. In 4 years, we have hosted over 150 volunteers, over 75 health campaigns, and have reached well over 3,000 people! Many of our volunteers have continued on to medical school, nursing school, and the Peace Corps! Volunteers can apply online today at www.handsonperu.org. We have 3 special sessions: March 3 – 9, May 18 – June 22 and June 29 – August 3, as well as year-round volunteering opportunities. For more information about our CESAPU project, watch our video and check out our Facebook: H O P Hands on Peru or Cesapu – Centro de Salud Pública. We are a professional couple looking for a caring and responsible nanny to care for our two young children – six and three year old boys to start in August. You must love children and be mature, reliable, trustworthy, punctual and organized. You will need to work Tuesday-Friday around 12-6 depending on the day, with occasional evenings/weekends. Duties will include picking up from school, taking to afterschool activities, homework, making meals/lunches, laundry, and light housekeeping. We are a non-smoking household and you must be a nonsmoker. You must have a reliable car and clean driving record. Pay is $10-12 an hour based on experience. Please contact Nicole Foland at colegator@cox.net or 352-246-8560. We are a professional couple looking for a caring and responsible nanny to care for our two children – eleven year old girl and seven year old boy to start in August. You must love children and be mature, reliable, trustworthy, punctual and organized. You will need to work Monday-Friday around 2-6:30pm depending on the day, with an occasional evenings/weekends. Duties will include picking up from school, taking to after school activities and homework. We are a non-smoking household and you must be a nonsmoker. You must have a reliable car and clean driving record. Salary based on experience $10-12 an hour. Please contact Mary Beth Yokomi at marybethyokomi@gmail.com or 352-256-0274. North Queensland, Australia – LEI 4955/LEI 6931 (6 credits) May 14th-June 10th, 2018. Field-based course including two research days on the Great Barrier Reef, live with an Australian farm family and study rural life, spend two nights in the Outback experiencing “life off the grid”, take part in a service learning project on an Aboriginal owned ranch, and finish the program exploring Sydney. Fiji – LEI 4955/6931 – (3 credits) June 10th-19th 2018. Field-based course with three days working on an ecotourism project on Barefoot Island in the Yasawas, experience life in a traditional Fijian village, and visits to the Nadi craft markets. This program can be taken by itself for 3 credits or may be added to the North Queensland or New Zealand program for a total of 9 credits. Find out more at our information session: Wednesday February 28th Florida Gym 320 at 5pm. UF in Ireland: Language and Education. This unique and informative 3 credit study abroad will take place from 27 April to 10 May this year. The study abroad is open to graduate and undergraduate students. Please email Maria Coady mcoady@coe.ufl.edu for more details.